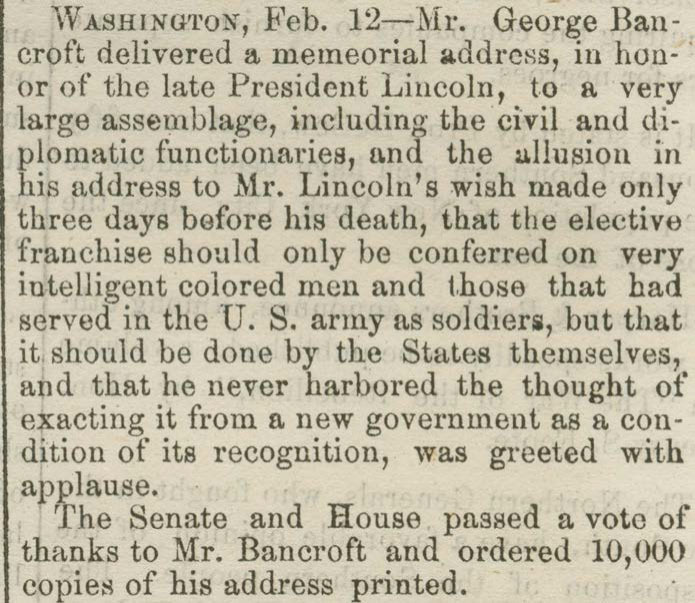 Brief news item about the memorial address delivered by George Bancroft on Abraham Lincoln’s birthday in 1866. The address, delivered on February 12, discussed the late president’s plans for the suffrage of African Americans: “…Mr. 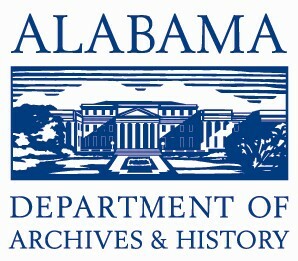 Lincoln’s wish made only three days before his death, that the elective franchise should only be conferred on very intelligent colored men and those that had served in the U.S. army as soldiers, but that it should be done by the States themselves, and that he never harbored the thought of exacting it from a new government as a condition of its recognition.” Published in the Montgomery Daily Mail on February 16, 1866. Excerpt from the Montgomery Daily Mail, item number ADVCOL42. Catalog record for this title is available here.